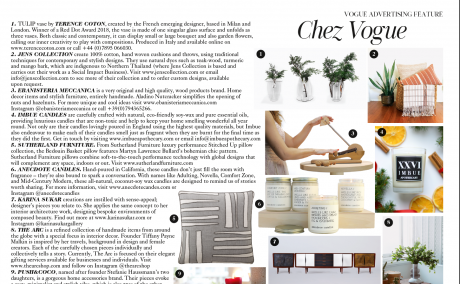 Ebanisteria Meccanica partecipates in January edition of British Vogue with its new aladino product, presented in “Chez Vogue” section. Aladino is an elegant and functional Nutcracker that semplifies the opening of nuts and hazelnuts thanks to its powerful double-measure lever system. Available now also in different colored versions.